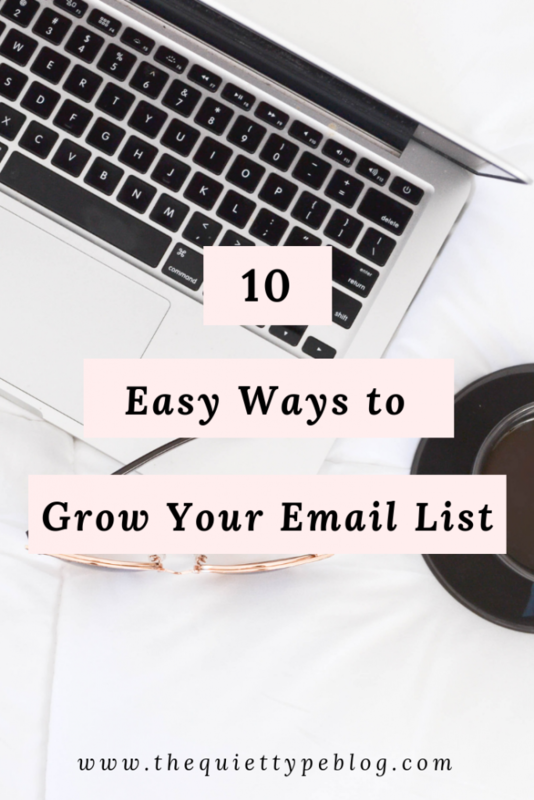 An email list is an important tool for any blogger or creative entrepreneur, but trying to grow your email list can be really frustrating. It’s not enough to just have a subscription box on your site and hope for the best. I think we can all agree we wish it were that easy! Think about it…most people don’t want to have a bunch of promotional emails cluttering their inbox, so generic calls to action like, “sign up for our newsletter” just aren’t cutting it. In order to get people to sign up for your email list, you have to give them an incentive…also known as an opt-in freebie. How should I deliver it? Do people even care what I have to say? Your opt-in freebie doesn’t have to be perfect but it does need to resonate with your audience. 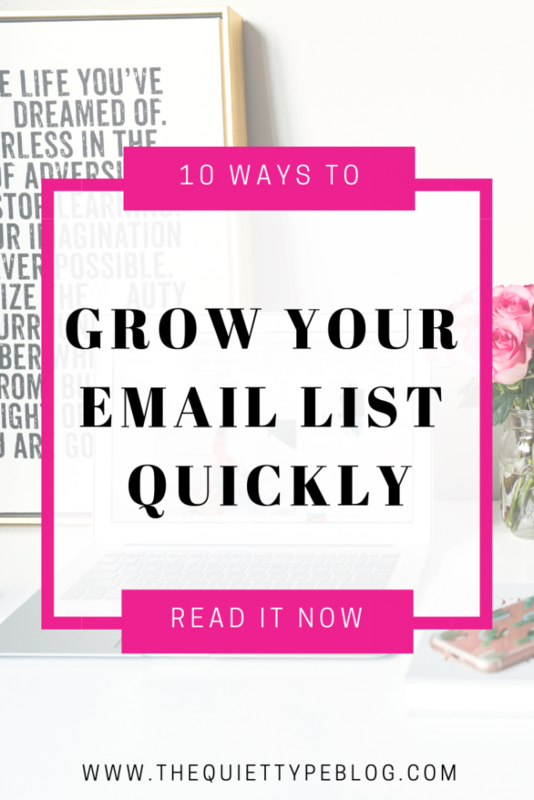 Here’s 10 opt-in ideas to grow your email list. This is one of the most popular ways to grow your email list. Content upgrades are freebies built off of an existing blog post, so they generally correspond with that idea. While promoting content upgrades can be easier to do in conjunction with the corresponding blog post, you can also market them separately. People love to win free stuff, so hosting a giveaway or contest is great way to grow your email list. When they sign up for you email list, they’ll be entered to win whatever prize you choose to give away. Bonus tip: Use an app like Gleam to grow your social media following by offering bonus entries for each platform they follow you on. Once you’ve created your opt-in freebie, promote it using Pinterest. Create pins for your opt-in that lead directly to the landing page where they input their email in exchange for the freebie. 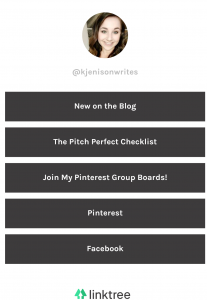 Start with at least two pins so you can A/B test them and see what works better at attracting new subscribers. Once you have an idea of what kind of pin is grabbing the attention of your subscribers, create more like it. The more pins you have per opt-in, the higher the potential to get new email subscribers and grow your email list. 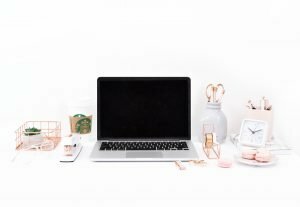 This is one of my favorite (and easiest) ways to promote an opt-in freebie to grow your email list because it’s pretty hands off after you’ve created your pins. Just schedule them to pin to your relevant boards using Tailwind and you’re good to go! You can also promote your pins in any relevant Facebook groups with promo threads that you’re in. 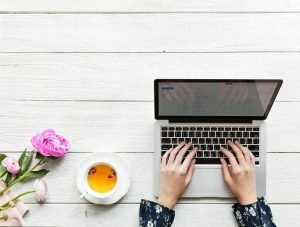 A quiz is such a fun and unique way to grow your email list. Develop a quiz with 5-10 questions with different end result depending on the taker’s answers. Then offer the results in exchange for the quiz taker’s email address. Have something to teach your audience? Host a webinar! When people reserve their seat in the webinar, they’ll be added to your email list so they can get updates on the class and you can send them any workbooks or materials they’ll need. If they enjoy the content you provided in the webinar, they’ll more than likely stick around on your email list to see what other information you can teach them. Have a bunch of go-to tools you use to help your blog or business run smoothly? Create a password protected resource library! 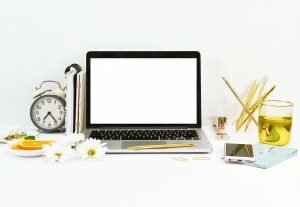 Fill it with our best tips, resources, and your own freebies and offer the password to visitors in exchange for joining your email list. 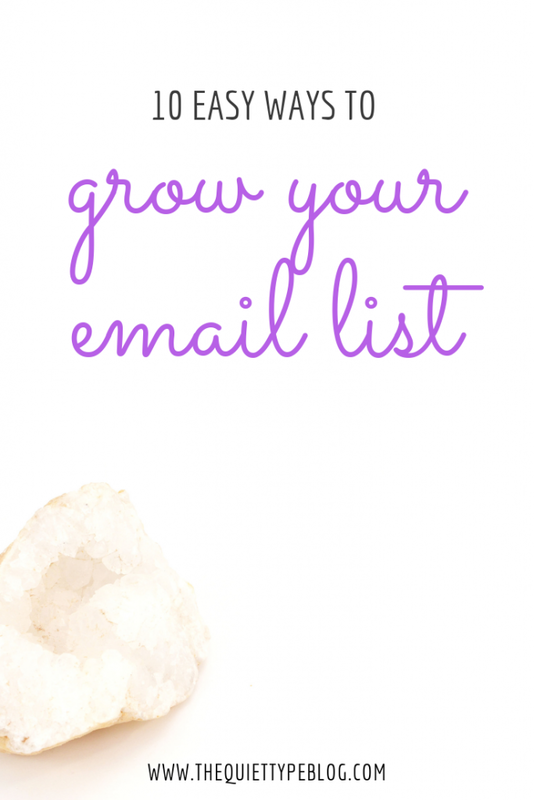 Grow your email list by asking your current subscribers to tell their friends about you. People will generally act on their friend’s recommendations if they find it to be relevant. Include a call to action in the emails you send to your subscribers asking them to forward the email to any friends who may find it helpful. Email courses are a really cool resource for connecting with and teaching your audience something useful. They’re also low-stress since they can be automated through an email service provider like Mailchimp or ConvertKit. If you’re not sure about creating a whole email course, consider creating a course by repurposing old blog posts or content. For example, if you have a blog post that gives readers a step by step tutorial on starting a blog, you could repurpose it into a brief email course like, “Start a Blog in 7 Days.” Just break up the content into actionable steps and deliver them over the course of 7 days. Social media is a great tool for growing your email list. Do you sell a product or service? Offer a discount code to encourage visitors to sign up for you email list. The beauty of a discount code? It doesn’t have to be for an extreme discount. Everybody loves to save a little money! Once you know what kind of opt-in freebie you want to use, you can get to work creating it. Take the time to promote your freebie to gain some traction and attract your audience to your blog. It might take some trial and error to find the perfect freebie for your audience but before you know it, people will be subscribing to your email list like crazy! I am taking advantage of many of these ideas already, but I KNOW I need to step up my efforts as those joining our email list has stalled out in the last month. I am in the middle of creating an email course that I need to sit myself down and finish. Thanks for sharing some inspiration.